About Laura E. Buffardi, Ph.D.
Laura is a Social/Personality Psychologist. She has mentored over one hundred students in the process of applying to graduate school in Psychology and Psychology-related fields over the last 12 years. These students have gone on to attend Ph.D. and Masters degree programs at top-level research institutions. In 2010, Laura began writing the popular Grad School Guru blog for Psychology Today magazine featuring tips and information for applicants. Laura has taught courses in Psychology of Adjustment and Teaching of Psychology at The University of Georgia. She has also instructed laboratory courses in Statistics for the Behavioral Sciences and Social Psychology. Laura was a recipient of the Outstanding Teaching Assistant Award in 2008. In 2010-2011, Laura was a Post Doctoral Research Fellow in the iScience Group at the Universidad de Deusto, Spain. Her research focuses on social media and psychology, including personality and social networking, methodology for using social media to conduct behavioral research, and consumer behavior on social media. Her work has been published in top journals, including Personality and Social Psychology Bulletin and Journal of Personality and Social Psychology. 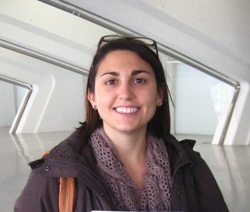 Follow Laura on Twitter for graduate school information and psychology news.